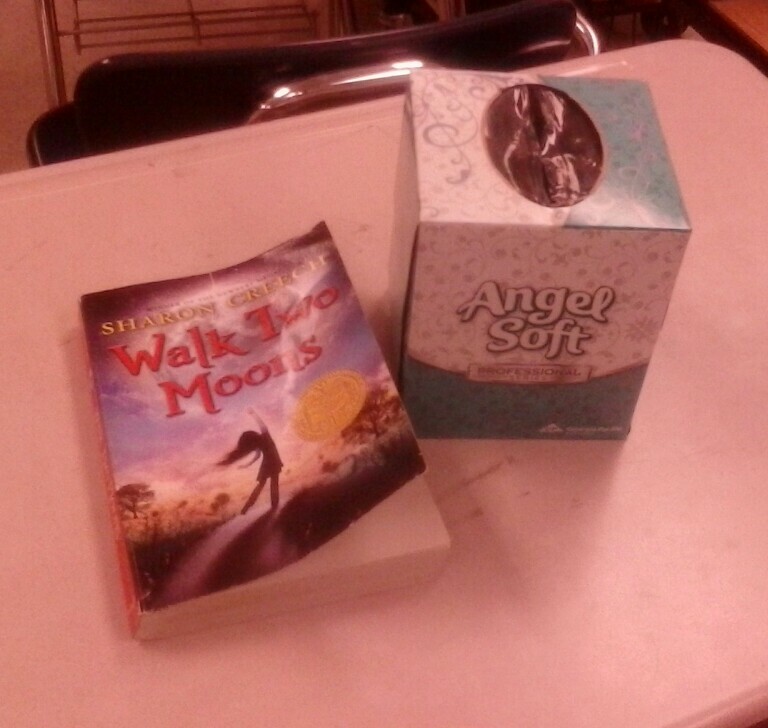 I always hand out tissues before we read the ending, which is very sad. We ran out of tissues yesterday. Oooh, that one’s a killer. Wow. Yeah, tears every time. That one is why I read all of Creech’s other books. I love this book! I’ve quit reading it to my class, they’re a bit young, but it is heartbreaking. Especially since my son lost his father when he was only six.